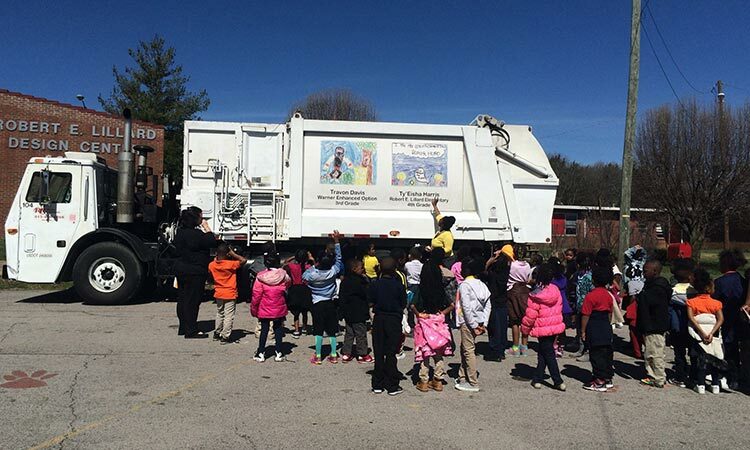 For Red River, our service doesn’t end with waste collection. Our communities are our homes, and we strive to make a lasting impact beyond the work we do. 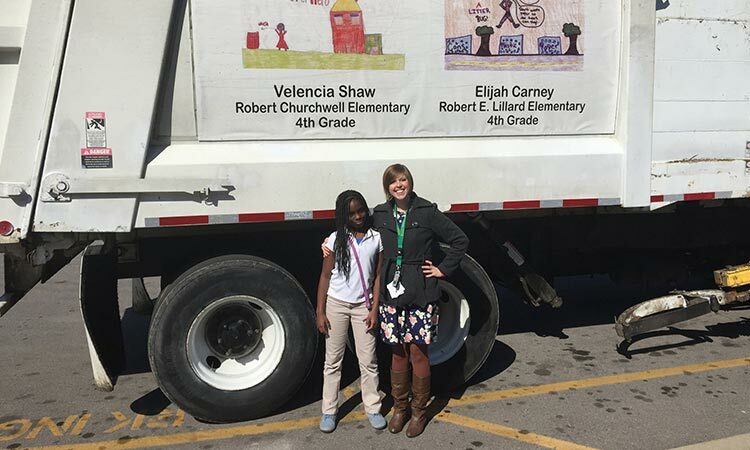 In Council Bluffs, Iowa, Red River sponsors a Green Poster Contest for 3rd and 4th graders. Students create posters based on an environmentally friendly theme and the winners earn grant prizes for their school. 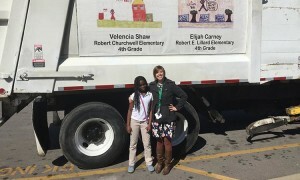 The top four posters get displayed on the side of Red River’s recycling collection trucks all year. Read more about the latest poster contest in our latest news. In Austin, Texas, Red River supports the Annual Children’s Golf Classic, benefiting the Salvation Army’s emergency shelter for families. The tournament has raised over $1.1 million for families in need. Each year, a Red River collection truck gets all dressed up for the Nashville Christmas parade. We decorate the trucks with tinsel, holly and artwork created by 3rd and 4th Graders in the Red River sponsored art contest. Similar to the Council Bluffs art contest, the Nashville Beautiful Art Contest and Rolling Art Museum aims to raise recycling awareness amongst 3rd and 4th grade students. Not only do the winners have their art featured on our trucks during the Christmas parade for thousands of people to see, but they also earn grants for their schools — $1500 for 1st place, $1000 for 2nd place, $500 for 3rd place, and $250 for awards of distinction — and receive an honor from the mayor at LP field during an awards ceremony and viewing. For more information about the contest, check out our Facebook page.